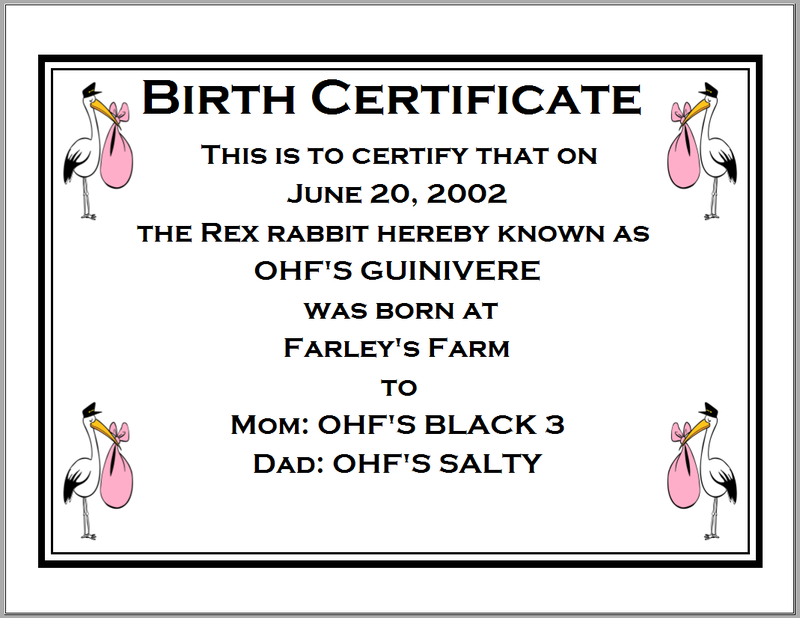 Below you will find sample printouts from our rabbit program. Printouts for other species look quite similiar. We have tried to make these samples speedy to download, as a result, these printouts appear "fuzzier" than they would be if you printed them directly from the real program. If an error occurs while loading (like "Could not find ColorSpace") or if the image appears full of black blocks, then you have an older version of Adobe Acrobat, and need to upgrade. Click here to download the latest version of the Adobe Acrobat Reader for free.